Teva Pharmaceuticals Industries will acquire Representacions e Investigaciones Medicas a pharmaceutical manufacturing as well as distribution company based in Mexico and known commercially as Rimsa. This deal includes a large portfolio of companies and products, assets, intellectual property and patents for pharmaceuticals in Europe and Latin America, in a cash-free, debt free set of transaction for $2.3 billion in total. Through this acquisition, Israel-based Teva will become the largest pharmaceutical business in Mexico. Teva is expecting the deal to yield substantial as well as achievable synergies and offer a solid platform for future growth in the area. Erez Vigodman the CEO and President of Teva said the acquisition delivers on the company’s strategy of increasing the presence in emerging markets that are key for them as a way to position Teva for growth over the long term in those same markets. Rimsa provides Teva with a substantial platform for big growth through combining the strong brand of RImsa, licensed portfolio of patent-protects, differentiated products, a promising pipeline, strong relationships with patients, physicians and providers of healthcare and its strong presence commercially, said the Teva CEO. Rimsa in 2014 had revenue of $227 million with growth for the year over year of just over 10.6%. The Mexico-based company has a large portfolio of specialty products that include fixed-dose products, which helped fuel rapid growth. 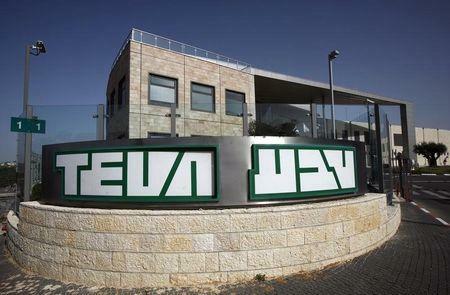 The well-established footprint for sales will provide a solid platform for more products from Teva. Jorge Perez Juarez the CEO at Rimsa said that Rimsa, for 45 years had operated as the leading pharmaceutical business in Mexico and the second largest market for healthcare in Latin America, with a diversified, unique and high growth business model. Teva’s CEO and president of its Global Generic Medicines divisions Siggi Olaffson said Rimsa has been able to differentiate itself to be the leader in providing branded specialty drugs, which includes their fixed-dose combinations that increase adherence and reduce overall costs to the patient. He added that Teva was excited to be part of a quality healthcare in meeting the needs of a country with 120 million people.